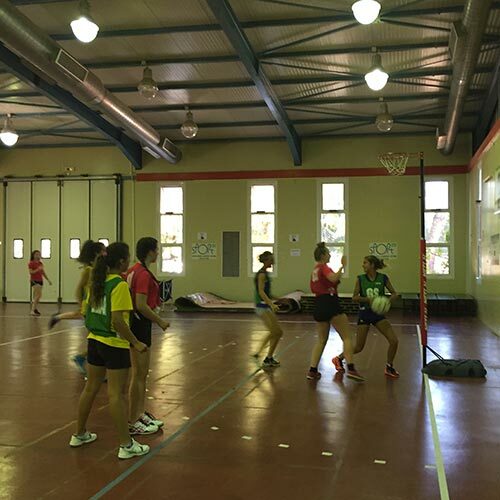 Netball in Greece means SPORTCAMP, the only sports training center with facilities and equipment for the sport. Netball is a fast, exciting, team sport for women which involves running, jumping, throwing and catching. It is very similar to basketball though the rules are slightly different and goal rings do not have a backboard. Netball was founded in the United States and is the women’s #1 team sport in countries such as Australia, New Zealand, England, Jamaica, Hong Kong, South Africa and Fiji. SPORTCAMP is the sole sports center in Greece with infrastructure and equipment for the conduct of Netball, which besides the UK can be conducted in four (4) European countries, with Greece being amongst them because of SPORTCAMP. One (1) fully equipped Indoor Hall of 900sqm and wooden surface with netball rings and special marking for the conduct of the sport . Many Netball teams from the U.K. and the U.S. have chosen SPORTCAMP for their Netball Tour or Camp.